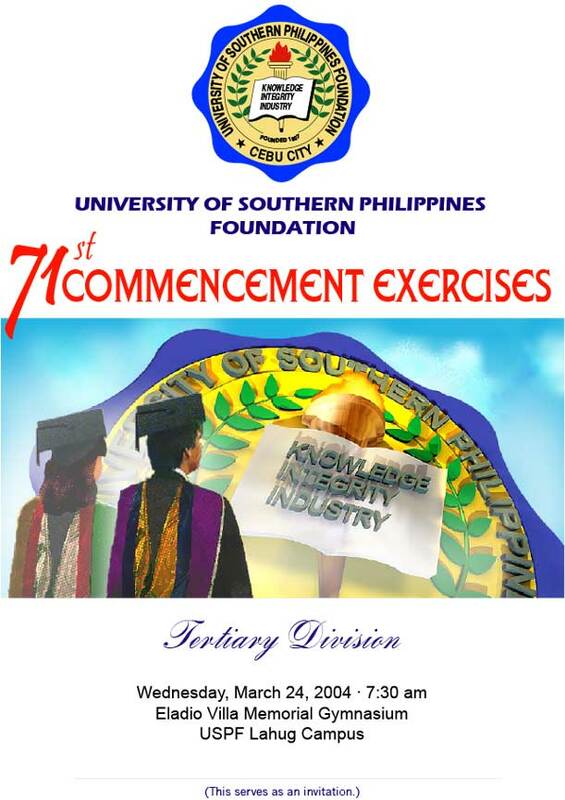 The image used for the University of Southern Philippines graduation programmes for three consecutive years has always been the same. It depicts two male and female graduates in their togas looking with high hopes at the giant university logo in the horizon. They are eager to step towards their future guided by their alma mater. Beforehand, this image was adopted as the central visual focus of USP’s official website, then created by the Dean of the College of Computer Studies and Information Technology. He had discovered it when it made its debut appearance on the cover of the Master of Science in Environmental Management Program’s first graduation programme invitation card.